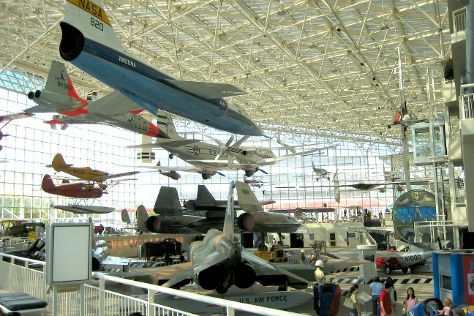 Start off your visit on the 12th (Sat): examine the collection at The Museum of Flight and then explore and take pictures at Safeco Field. For other places to visit, photos, reviews, and other tourist information, go to the Seattle day trip tool . Cincinnati to Seattle is an approximately 7-hour flight. You can also do a combination of bus and flight; or drive. The time zone difference when traveling from Cincinnati to Seattle is minus 3 hours. Traveling from Cincinnati in October, you will find days in Seattle are a bit cooler (63°F), and nights are about the same (50°F). Finish your sightseeing early on the 12th (Sat) to allow enough time to travel to Olympic National Park. 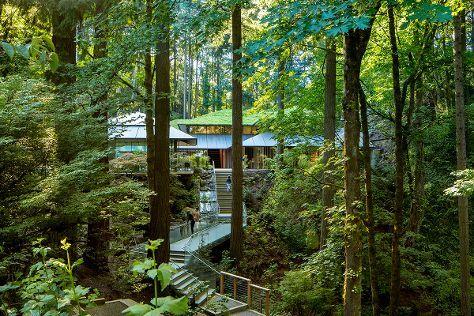 Start off your visit on the 13th (Sun): delve into the lush surroundings at Hoh Rain Forest Visitor Center and then kick back and relax at Ruby Beach. Get ready for a full day of sightseeing on the next day: delve into the lush surroundings at Olympic National Park and then take a memorable drive along Hurricane Ridge. To find reviews, ratings, photos, and more tourist information, go to the Olympic National Park trip maker . Do a combination of ferry and bus from Seattle to Olympic National Park in 4.5 hours. Alternatively, you can take a bus. Traveling from Seattle in October, you can expect nighttime temperatures to be little chillier in Olympic National Park, with lows of 44°F. Finish your sightseeing early on the 14th (Mon) so you can take a train to Portland. Start off your visit on the 15th (Tue): admire the natural beauty at Lan Su Chinese Garden, stop by Powell's City of Books, meet the residents at Oregon Zoo, then take in nature's colorful creations at International Rose Test Garden, and finally admire the natural beauty at Portland Japanese Garden. For traveler tips, reviews, other places to visit, and more tourist information, refer to the Portland trip builder site . Take a train from Olympic National Park to Portland in 5.5 hours. Alternatively, you can take a bus; or take a bus. Expect somewhat warmer weather when traveling from Olympic National Park in October: highs in Portland hover around 66°F, while lows dip to 49°F. Finish up your sightseeing early on the 15th (Tue) so you can travel to Redwood National Park. On the 16th (Wed), explore the wealth of natural beauty at Redwood National Park. To find ratings, reviews, traveler tips, and other tourist information, use the Redwood National Park driving holiday tool . Traveling by car from Portland to Redwood National Park takes 7.5 hours. Alternatively, you can fly. In October, daily temperatures in Redwood National Park can reach 64°F, while at night they dip to 47°F. Wrap up your sightseeing on the 16th (Wed) early enough to travel to Eureka. Eureka is the principal city and county seat of Humboldt County in the Redwood Empire region of California. On the 17th (Thu), identify plant and animal life at Arcata Marsh and Wildlife Sanctuary, then enjoy the sand and surf at Big Lagoon County Park, then look for gifts at Holly Yashi Store and Design Studio, and finally grab your bike and head to Hikshari Trail. On the next day, look for all kinds of wild species at Humboldt Coastal Nature Center, take a leisurely stroll along Trinidad Harbor, then take in the dramatic natural features at Camel Rock, and finally tour the pleasant surroundings at Trinidad State Beach. For where to stay, reviews, maps, and tourist information, go to the Eureka day trip planning app . Drive from Redwood National Park to Eureka in 1.5 hours. In October, daily temperatures in Eureka can reach 63°F, while at night they dip to 49°F. Wrap up your sightseeing on the 18th (Fri) to allow time to drive to Fort Bragg. Fort Bragg is a coastal city along State Route 1 in Mendocino County, California. Kick off your visit on the 19th (Sat): stroll through Seaside Beach, kick back and relax at Pudding Creek Beach, then admire the natural beauty at Mendocino Coast Botanical Gardens, and finally kick back and relax at Noyo Headlands Park. To see ratings, other places to visit, reviews, and other tourist information, read Fort Bragg trip planning site . Getting from Eureka to Fort Bragg by car takes about 3 hours. Other options: do a combination of bus and car; or take a bus. Traveling from Eureka in October, you will find days in Fort Bragg are somewhat warmer (79°F), and nights are about the same (46°F). Wrap up your sightseeing on the 19th (Sat) early enough to travel to Point Arena. Point Arena is a small coastal city in Mendocino County, California, United States. On the 20th (Sun), enjoy the sea views from Point Arena Lighthouse & Museum, look for all kinds of wild species at Point Arena - Stornetta Unit of the California Coastal National Monument, and then enjoy the sand and surf at Manchester Beach / Mendocino Coast KOA. To find traveler tips, other places to visit, where to stay, and more tourist information, use the Point Arena tour itinerary planner . Traveling by car from Fort Bragg to Point Arena takes 1.5 hours. Expect a daytime high around 79°F in October, and nighttime lows around 46°F. Finish up your sightseeing early on the 20th (Sun) so you can travel to San Francisco. Kick off your visit on the 21st (Mon): trek along Mori Point, then identify plant and animal life at Friends of Fitzgerald Marine Preserve, and then kick back and relax at Fitzgerald J V Marine Reserve. Keep things going the next day: take in the dramatic natural features at Bodega Head and then admire the majestic nature at Pinnacle Gulch Coastal Access Trail. To find other places to visit, ratings, more things to do, and tourist information, go to the San Francisco road trip tool . Traveling by car from Point Arena to San Francisco takes 3.5 hours. Traveling from Point Arena in October, you will find days in San Francisco are a bit cooler (73°F), and nights are a bit warmer (56°F). Wrap up your sightseeing by early afternoon on the 23rd (Wed) to allow enough time to travel back home.